Here are some snazzy gifts I found at WishingFish that you can give at your next Christmas get-together. 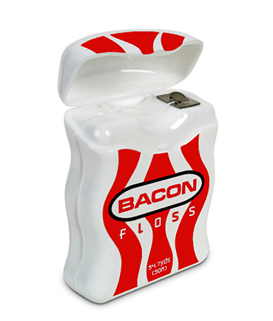 Because who doesn't want bacon flavored floss? Or an instant fireplace DVD? 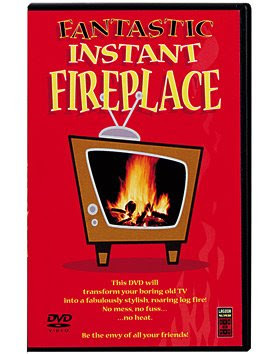 And I quote..."This DVD will transform your boring old TV into a fabulously stylish, roaring big fire! No mess, no fuss...no heat. Be the envy of all your friends!" 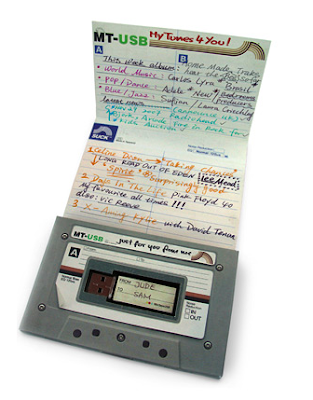 Or, for all of us who remember making mix tapes—now you can capture the old look, but put the songs on a USB to give to that special someone. 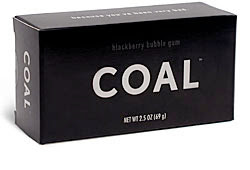 And for those who may have been less than good this year, black "coal" gumballs. Have fun picking out your white elephant gifts and ugly sweaters for all your upcoming Christmas parties!